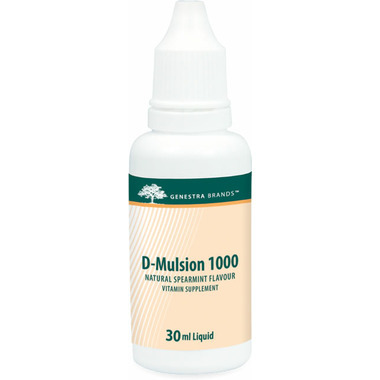 Genestra D-Mulsion 1000 is an emulsified vitamin D supplement. D-Mulsion 1000 is prepared using the proprietary WisdOM emulsification process for enhanced bioavailability and improved palatability. 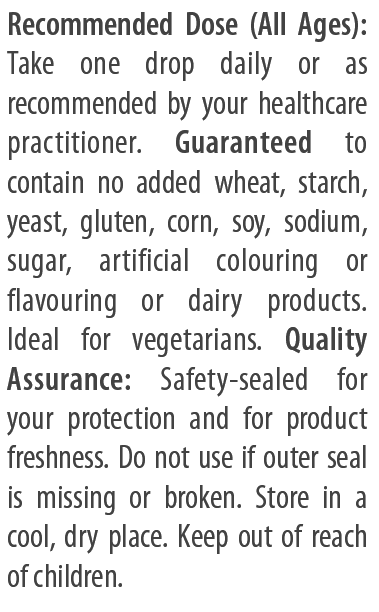 Each serving provides 1000 IU of vitamin D3, emulsified in a base of extra-virgin olive oil. In a clinical study conducted on 55 vitamin D deficient participants, emulsified vitamin D3 had significantly greater bioavailability compared to a capsule-based supplement.